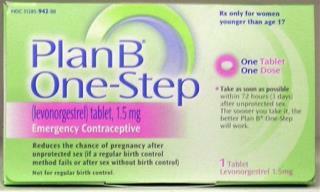 (Newser) – New York City is handing out birth control including the morning-after pill to students at some of its schools under the auspices of a burgeoning health initiative called Connecting Adolescents To Comprehensive Health. The, er, catch? Students don't have to tell parents, notes the New York Post, unless parents have previously opted out of the program, which is aimed at stemming the tide of teenage pregnancy. While schools in the Big Apple have long made condoms available, it's the first time hormonal birth control is being offered in any school nationwide. Even if a woman is under 18, she has an overriding right to decide what happens to her body. Having worked in reproductive services, I can tell you that most underage women will NOT tell their parents they MIGHT get pregnant. They will hunker down and hope for the best. Then the pregnant ones will often shift into denial until pregnancies start to show. Some will manage to hide it till they give birth in a fast food bathroom, and ditch the baby in a dumpster. I would think the anti-choice crowd would love this. It prevents abortion, lowers government spending on the poor, and stems the tide of single parenthood. young whores in new york city? you dont say?